Two days and counting! My next release comes this Thursday, available only at Amazon on Kindle. I’m back in New York Times’ best-selling author Paige Tyler’s Dallas Fire & Rescue Kindle World. This time, my heroine is an ARFF–Airport Rescue Firefighter. My hero works for DHS and just happens to be a wolf shifter. Fun times! Watch for buy links on Thursday. As a Homeland Security investigator with a unique set of gifts, it’s Derek Alexander’s job to track down the worst kind of prey—human traffickers. One step behind, he missed them in Kansas City, but after an unlikely informant puts him on the trail to Dallas, he might find his case come crashing down around his ears, taking his heart along with it. Katherine ‘Kit’ Carson is a new Airport Rescue Fire Fighter at DFW International, but she didn’t expect her first day to land her in the middle of an inferno. 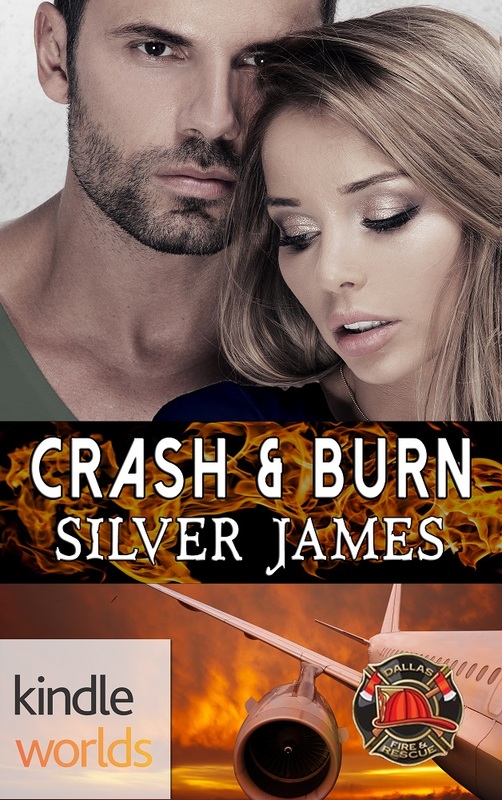 Between investigating a plane that exploded mid-air and encountering a hot government agent, Kit’s work might send her into a fiery spiral of love and danger she was never trained to handle. When duty and love collide, a Wolf and his mate are destined to Crash & Burn. This entry was posted in Books, Writing Life and tagged #DFRKW, Amazon Kindle, books, characters, Kindle Worlds, new release, reading, Tuesday Titles, writing. Bookmark the permalink.